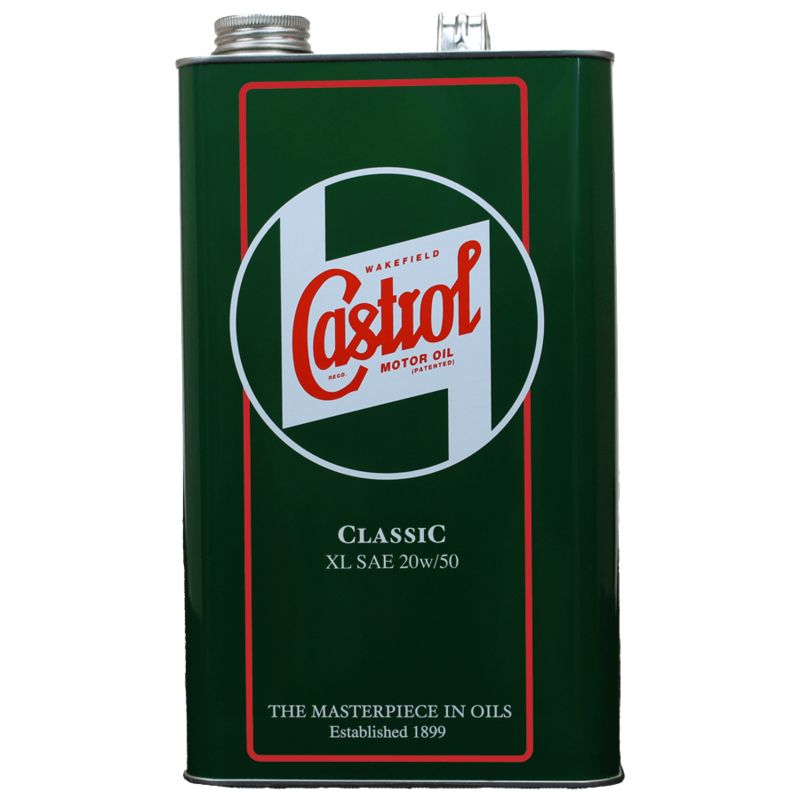 Castrol Classic Oils are specially formulated in the style of the original products. Using traditional mineral oil and a low detergent formulation, Castrol Classic Oils are the right choice for your cherished classic or vintage vehicle. Older engines have very different requirements to modern engines. With larger oil galleries and a greater reliance on splash and cling properties, seals made from traditional materials, and the risk of carbon gum and varnish, you need to be sure that your oil will perform as the vehicle manufacturer originally intended. With the most appropriate and carefully balanced additive technology to provide the best protection and performance for classic engines, Castrol Classic Oils are your premium lubricant. Castrol Classic XL20w/50 is a premium multigrade engine oil of good all round performance. Formulated with high quality mineral oils, plus carefully selected additives, it is ideally suited to older technology and classic car engines. •For pre-1980 classic cars and motorcycles. Castrol Classic XL30 is a premium SAE30 monograde oil. Formulated with high quality mineral oils, plus carefully selected additives, it is ideally suited to older technology and classic car engines. 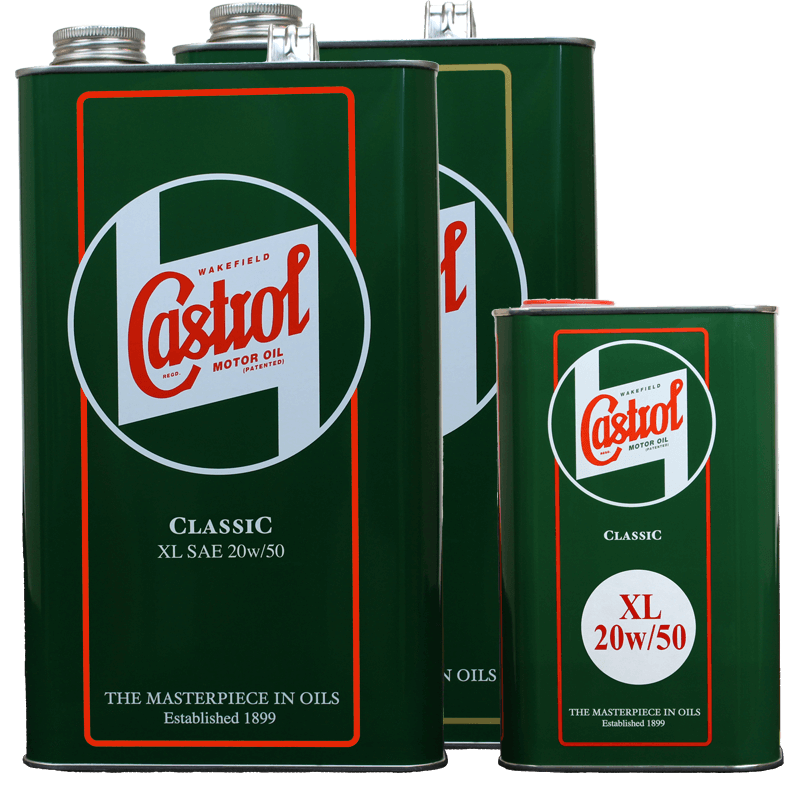 Castrol Classic XXL40 is a premium SAE40 monograde oil. Formulated with high quality mineral oils, plus carefully selected additives, it is ideally suited to older technology and classic car engines. Castrol Classic GP50 is a premium SAE50 monograde oil. Formulated with high quality mineral oils, plus carefully selected additives, it is ideally suited to older technology and classic car engines. Castrol R40 Power 1 is the original, traditional, castor based oil. It provides the ultimate in lubrication. If the best performance possible coupled with reliability is the aim, then the remarkable stamina and great film strength of Castrol R40 provides a valuable margin of safety at ultra high speeds and temperatures. Primarily designed for the racing world; however it's unique properties also benefit private owners interested in high performance.